I love mascara. I have long lashes, but they're not full. 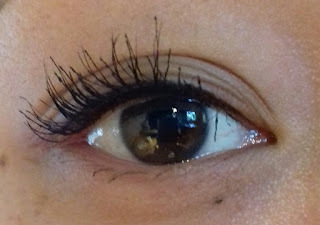 So I'm always looking for a mascara that gives me beautiful volume and little bit of length. Holding a curl isn't forbidden either. After reading lots of raving reviews about this mascara I just had to try it! Keep on reading of you want to know what I think of this mascara. The mascara comes in a blue tube with pink print on it. Nothing too special. It kind of looks like all the other Maybelline mascaras, but with another color. I have this mascara in the color black. 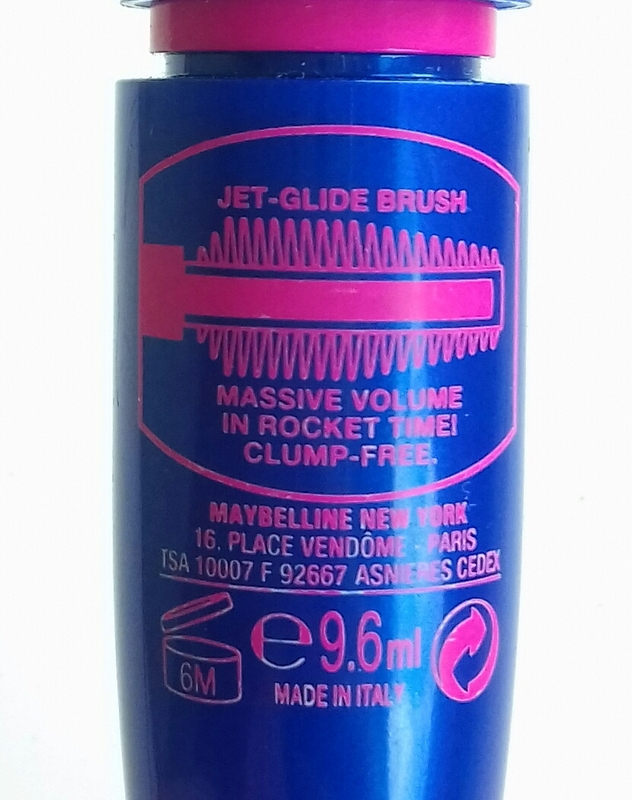 It contains 9,6 ml of product and has a, according to the packaging, jet-glide brush, which provides "massive volume in rocket time! Clump free". Alright, that sounds promising. It has a pretty big brush, but not huge like the Maxfactor or Covergirl ones (resp. False Lash Effects or Lash Blast). I can reach all my lashes, so that is a good thing. The brush is made out of a lot of silicone/plastic spikes, which are incredibly hard. I have accidentally poked my eyes a few times and it hurt like hell. And not just for a few seconds, it hurt for a while and I have to say I never ever experienced a brush that hurt so much before (not joking). Anyway. Let's see how it works. I expect lots of volume with one swipe, since it claims to deliver "massive volume in rocket time!". Adding a coat of mascara adds a little bit of volume. 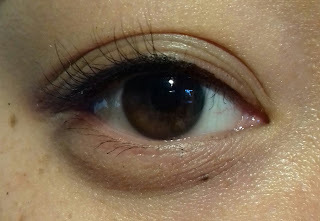 This mascara makes my lashes look fluffy and I am kind of surprised by how much I like it. I never used this mascara on its own, but I have used it as a first coat of mascara for my mascara combinations and those first coats weren't great (just a thin layer of mascara on my lashes). When I used it for the first time I didn't like this mascara at all. 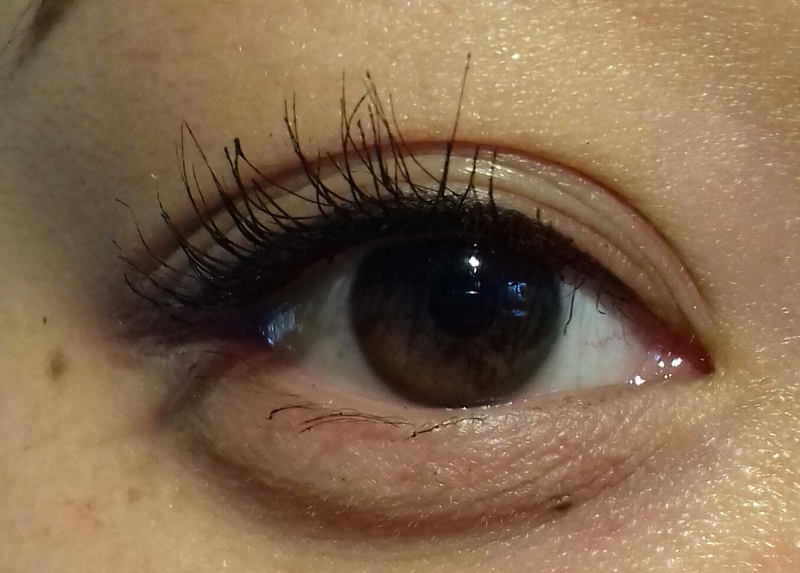 It did very little for my lashes, just like the first coat, but less. I thought it was an okay mascara as a "primer" for the second mascara and that is how I've been using it. After I opened a new mascara, the Lancôme Hypnôse Drama, this became the second mascara in my combo. It was more of a separating step in my mascara routine, because it didn't really add anything to the mascara that already was on my lashes. 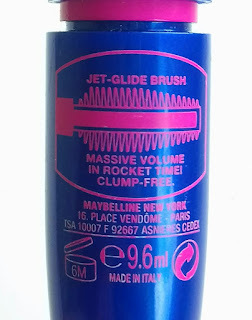 The combo in which this was the first mascara was with Le Volume de Chanel and since the Rocket Volum' wasn't really doing much with one coat, I didn't really expect much of it. So I coated my lashes with a thin layer of the Rocket and built my mascara with Le Volume, which worked perfect. Because I found that with one layer of the Rocket underneath, Le Volume was giving me more volume than on it's own. My first impressions of this mascara wasn't really good. But now the formula is drier and it gives me very separated, natural lashes. It still is not enough volume for me, but on days that I want a natural look, I'll definitely go for this mascara on its own! Does it gives me massive volume in rocket time? Absolutely not. There's no massive volume, it's more natural volume. Is it clump-free? Absolutely. Probably because there are a lot of bristles/spikes on the brush (which are rock-hard), but because there are so much spikes, it doesn't really give your lashes the massive volume. However, I love how separating this mascara is. I think this mascara is great for those with thick, full, long and curly lashes or those who want a natural look. But if you have thin lashes and you're looking for a mascara that gives you huge amounts of volume, you might want to walk past this one. I hope this was a helpful review for you and have a nice day!